He sailed around the world! 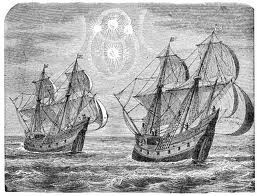 We left Spain in 1519 with five ships. We had expected to find Asia just beyond South America, but we were proved wrong when it took us 12,600 more miles to reach land. 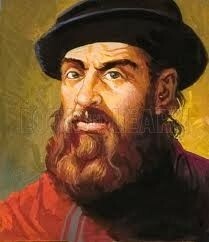 Magellan had survived eighteen months at sea before he was killed in battle in the Philippines. After traveling around the entire world, one ship and eighteen people remained of the 265 that we left with.